Snapshot: The Lawnmaster Metro Mulch & Catch is a mulch & catch petrol mower that weighs 26.9kg and has a cutting width of 46cm. But is it a smooth operator? 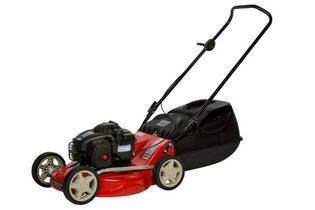 Briggs & Stratton 450 E Series. 125cc.